In an effort to provide students the best detail possible to plan their class schedule in advance, SC4 offers the Student Planning, an online class planning and registration system available through a student’s portal at portal.sc4.edu. Student Planning provides students with real-time schedule information, including the number of openings available in each class section. SC4 offers classes in a variety of formats including day, evening, weekend, online, short-term and other formats. Students are encouraged to register early each registration period in order to take full advantage of these opportunities. Questions related to the Service Center may be directed to the Enrollment Services office at (810) 989-5500 or enrollment@sc4.edu. Use of the student portal and the Service Center must be in accordance with the college’s technology Acceptable Use Policy. Online: Students may register for classes online via the Service Center at portal.sc4.edu. Student Services One-Stop Center: Students may receive assistance in registering by visiting the Welcome Desk in the SC4 Welcome Center. Registration periods vary. Refer to www.sc4.edu/academic-calendar for specific registration dates/times. It is the responsibility of the student to follow the established procedure for adding, dropping or withdrawing from classes. It is the student’s responsibility to confirm the accuracy of both registration and billing information at the time of enrollment. Award amounts listed for students receiving financial aid and/or scholarships are “pending” and may be adjusted following registration. Students are responsible for payment of tuition and fees not covered by financial aid and must drop classes within the established refund period. In the event that a student declines a financial aid award, or does not register for the minimum number of required credit hours to receive a financial aid award, the student is responsible to drop the class(es) prior to the final drop/add deadline date. Students have the option of “waitlisting” for a class(es) if a desired section is full. There is no charge to waitlist. Students who waitlist must be diligent in checking their Student Planning tool and SC4 student email account to monitor their progress on the waitlist. If/when a student is notified of a waitlisted class permission to register, the student has two days to take action and register for the course. Students receiving permission to register who then miss the two day registration window are removed from the waitlist for the class. The waitlist option is available until one week prior to the start of a semester. Waitlists are cleared in the week prior to the start of the semester; any openings in classes during this time are available on a first come, first registered basis. Students must make arrangements for tuition payment at the time of registration. SC4 students will not be allowed to register or make adjustments to their class schedules if they do not have a valid address on file with the college or if they have an outstanding balance to the college for tuition or fees. A registration restriction will be imposed for students who have been dropped for non-payment twice in the same semester. Students who have this registration restriction on their records are required to register in person in the Welcome Center. If a student wishes to register for a credit-bearing course and receive no credit, the student must indicate “audit” when registering. “Audit” means that a student has registered, paid, and is attending a college credit course, but will receive no credit or grade for the course. Students auditing a class are still required to meet all course prerequisites. Students who choose to “audit” a class must designate this registration status at the time of registration or by the end of the drop/add period. Once a class has been registered as an “audit,” no adjustments may be made to change the course status to college credit after the drop/add period has ended. Conversely, once a class has been registered for college credit, a student may not change the status of the class to “audit” after the drop/add period has ended. Students failing to comply with this requirement will be held responsible for the resulting consequences. Ultimately, it is the student’s responsibility to verify the accuracy of the registration and billing statement. Students planning to take courses at one of the SC4 off-campus centers may register online via portal.sc4.edu. Payment schedule compliance is required to maintain class registration. Residents of the St. Clair County Community College district pay taxes to support SC4 through a voter-approved millage rate. The current SC4 district is based upon St. Clair County K-12 school districts and does not include persons living in St. Clair County who reside in Anchor Bay, Armada, Richmond, Brown City, or Croswell-Lexington school districts. NOTE: International students (i.e. those students attending SC4 on an F-1 visa) cannot establish residency. Residency of all students under 18 years of age follows that of their parents or legal guardians. Students who falsify their residency will be subject to payment of tuition at the correct residency rate. Charges in such cases will be retroactive. Complete a Proof of Residency Form (available in the Welcome Center or on SC4’s website). Provide a copy of a valid Michigan driver license, Michigan ID card, or Voter Registration card showing the current in-district address dated prior to the start date of the intended semester of enrollment. Appeals may be made to the Registrar. The proof of residency documents outlined above must include the student’s name, current address and be dated prior to the start date of the intended semester of enrollment. Please note that all changes in residency status should be reported immediately to the Enrollment Services office. Students are required to report name and address changes directly to the Enrollment Services office. Students also may submit address changes online via portal.sc4.edu. Students wishing to update their name(s) must provide legal documentation (marriage license, court documentation, divorce papers, etc.) before name changes are processed. If the address is being changed from an out-district address to an in-district address, residency change procedures must be followed as outlined in the aforementioned section. Failure to submit the necessary forms pertaining to a given semester may result in the Enrollment Services office being unable to provide requested services. As a result, students will be held responsible for the consequences of such action. SC4 makes every attempt to run all classes; however, some classes must be cancelled due to low enrollment. Students whose class(es) have been cancelled will be notified as soon as possible. Students are encouraged to enroll in other available sections or see an academic advisor for assistance in selecting other class options. If students choose not to enroll in another section or a different class, they will be refunded the tuition for the cancelled class. Students are cautioned to check with the Financial Aid office to see if financial aid funding is affected if the cancelled class(es) is not replaced in a student’s course load. The college has established a telephone line, (810) 989-5770, that students can call for class cancellations and faculty absences. The information on this line is updated throughout the day Monday through Friday and on Saturday by 7:30 a.m. SC4 also will use this line to inform students of college closings due to inclement weather. Faculty absences and college closure information also is available to students via portal.sc4.edu. Students may adjust their schedule with 100% tuition refund by dropping/adding courses during the established timeframes for each course, as listed below. Students are responsible to complete the appropriate drop/add procedure via Student Planning or in-person by the designated deadline dates. No refunds will be processed for drops processed after the established deadline. NOTE: Students who register, then drop all courses for a term during the appropriate drop/add period, are responsible for paying the non-refundable student fee before registrations for future terms or requests for transcripts or diplomas can be processed. SC4 offers a course mobility clause for students. During the first three weeks of the semester, upon agreement of both instructor and student, the student may move to a higher or lower level of: Accounting, Biology, English, Math and Languages (French, German, Spanish). Contact your instructor for more detail. Once the drop/add period (i.e. 100% refund) has expired, students may withdraw from classes by completing the process online, or in person. Students requesting withdrawal by the appropriate deadline will receive a final grade of “W.” The established deadline dates are listed below. Courses meeting 6 to 16 weeks: students may withdraw through the third to last Friday in the course (i.e. two weeks remaining in the course). Courses meeting 3 to 5 weeks: students may withdraw through the second to last Friday in the course (i.e. one week remaining in the course). Courses meeting 1 day to 2 weeks: students may drop for a tuition refund on the first day of the class. There is no withdrawal period. Students who withdraw from a class may no longer attend the class and no tuition refund will be processed. Failure to formally withdraw from a class(es) may result in a grade of “E”. Injured or ill students unable to withdraw online should have a family member initiate the process by contacting the Enrollment Services office. All students requesting a complete withdrawal of classes prior to the 60% date of the semester are encouraged to contact the Financial Aid office to determine the impact that the Federal Return of Title IV Funds rule may have on their current and future financial aid eligibility. Class attendance policies are established by each individual instructor and are presented to each student on the course syllabus within the first week of class. Punctuality and regular attendance are necessary if the student is to receive maximum benefit from courses enrolled. The responsibility for lecture and scheduled laboratory attendance rests solely with the student. When work has been affected by unexcused absences or tardiness, penalties may be imposed at the discretion of the individual instructor. As a matter of courtesy, students should explain the reason for absence to their instructors. When possible, this should be done in advance. If a student stops attending class and does not officially withdraw from the class, or does not make arrangements with the instructor for an “I” incomplete grade (restrictions apply), the instructor has no choice but to issue a final grade of “E” for the class. Students are cautioned to remember that failing grades and course withdrawals may affect current and future financial aid eligibility. SC4 has partnered with the National Student Clearinghouse to offer electronic transcripts through an online ordering system. Students may order as many transcripts to as many recipients as needed in a single session. Visit www.sc4.edu/transcripts for ordering instructions and applicable fees. Students also may request unofficial (student) copies and/or official (sealed envelope) copies of their transcripts free of charge at the Welcome Desk on the first floor of the SC4 Welcome Center during regular business hours. Photo identification is required when requesting transcripts in person. Students who attended SC4 prior to 1983 may not have the ability to utilize the electronic transcript process. 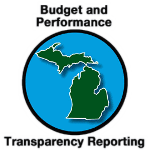 Call the Records Office at (810) 989-5550 to inquire if your transcript is eligible for electronic delivery. NOTE: Students who owe tuition dollars to SC4 or who have other unmet obligations will be prevented from utilizing the electronic transcript option or receiving transcripts in person (official/unofficial), as well as receiving proof of degrees/certificates earned, until all financial obligations are resolved with the SC4 Business Office. Faculty regarding coursework, as approved by the instructor. College staff regarding the enrollment process, financial account status or any other administrative process. Classmates regarding course and campus activities. All students must activate their email accounts. SC4 uses email to communicate with all students taking classes for credit, regarding important information about billing, classes, deadlines, events, refunds, financial aid, and registration. Accounts will be inactivated after students have not enrolled in credit classes for a period of two years. SC4 provides help desk services for students who need assistance with SC4’s portal. Assistance is available by calling (800) 630-8918 or (810) 989-5858. A student’s Skippers OneCard is an official college photo ID and serves as the student’s college library card. Students may also choose to have financial aid refunds deposited directly to an account connected to their OneCard, which then may be used as a debit card for books and other educational needs. A OneCard is necessary to receive services in many departments on campus. To get an ID, a student must first get his/her photo taken at the Testing Center check-in desk. Students must show a valid driver license, state ID card or passport. Merchant discounts and promotions are available by showing the Skippers OneCard at local businesses. View a complete list of participating businesses on the portal under Student Resources > General Information > Skippers OneCard. For more information, call (810) 989-5816 or email skippersonecard@sc4.edu.